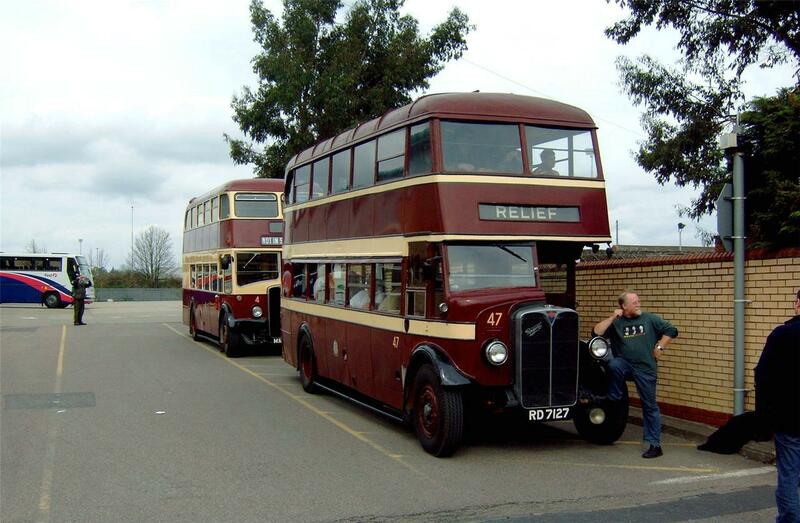 On Saturday 2 April we had a tour of former trolleybus routes in ex Reading 47, an AEC Regent dating from 1935 and also ex Reading 4, an AEC Regent III dating from 1957. Departing from Great Knolly’s Street at about 14.10 with approximately 70 members on the two buses, we made our way to the Bear Inn terminus at Tilehurst. Following a photo stop, which was not easy with so much traffic around, we then made our way to the Armour Hill, Kentwood terminus for more photos. 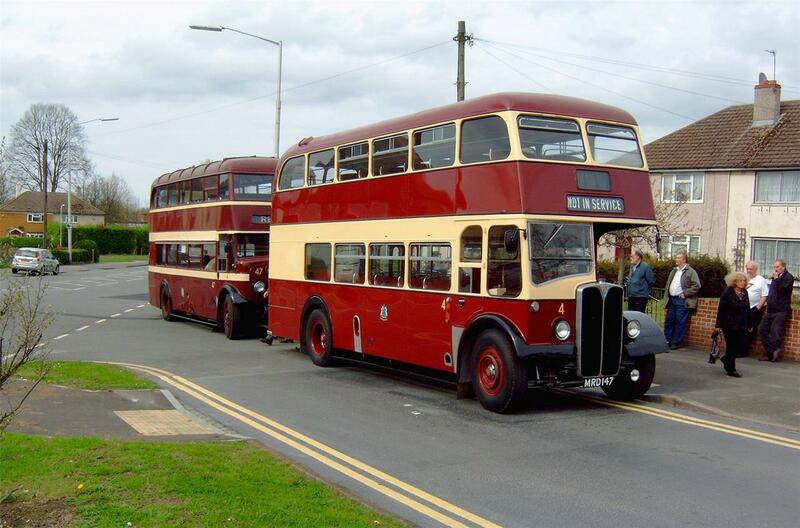 Our next visit was to the terminus at Northumberland Avenue and then onto Whitley Wood terminus. We followed the route of the proposed link that was planned between the two termini prior to the announcement of trolleybus abandonment in the town. From there we made our way along Basingstoke Road and past the original Whitley Street terminus before arriving at Caversham Bridge terminus. Again taking photos was hazardous due to the amount of traffic. From Caversham Bridge we made our way to Liverpool Road terminus. 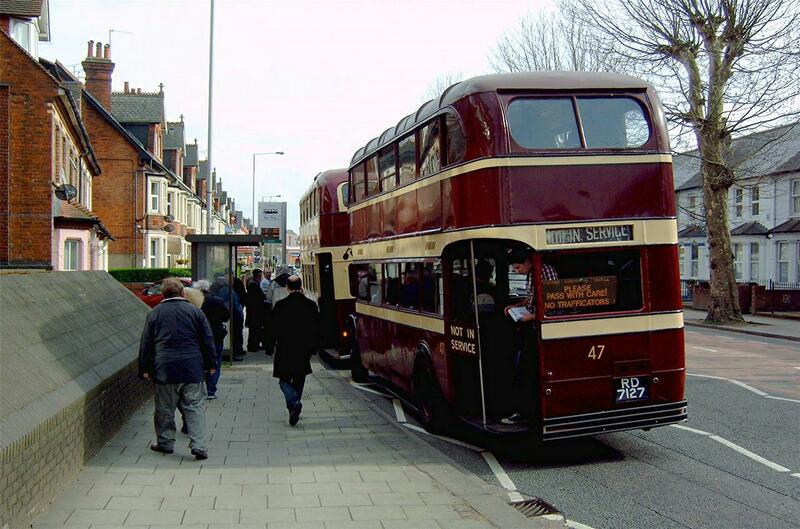 It was not possible to trace the former trolleybus route due to the closure of Manchester Road so we made our way along London Road to the roundabout just past the old tram terminus. 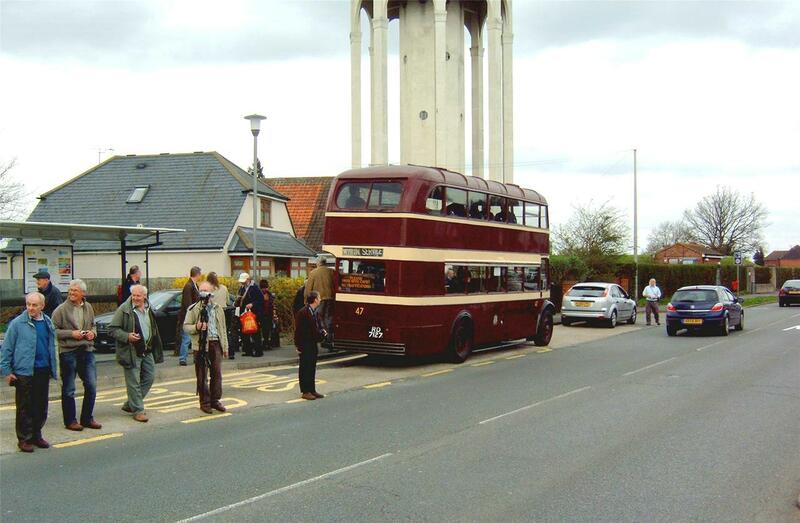 Our final call was at the Three Tuns terminus in Wokingham Road where a group photo was taken in the true traditions of the trolleybus tours we had on the system back in the 1960s. 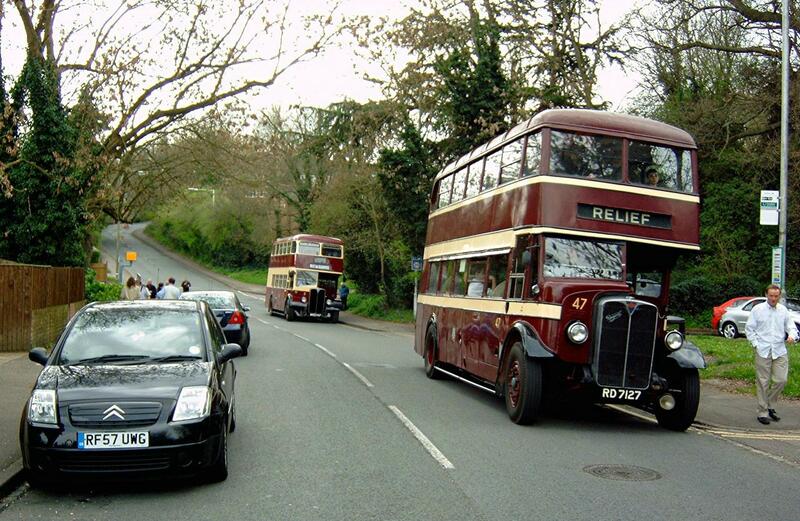 All things considered it was a very enjoyable tour with both buses behaving impeccably. The looks on peoples faces as we passed by and on the faces of drivers of oncoming vehicles was really funny. 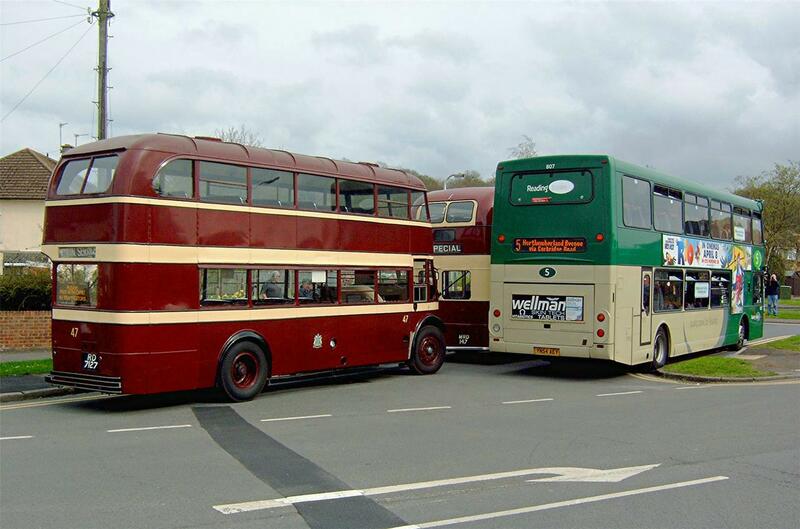 The BTS would like to thank Richard Rampton and Lee Simmonds for their part in supplying the buses for a very enjoyable Saturday afternoon tour.